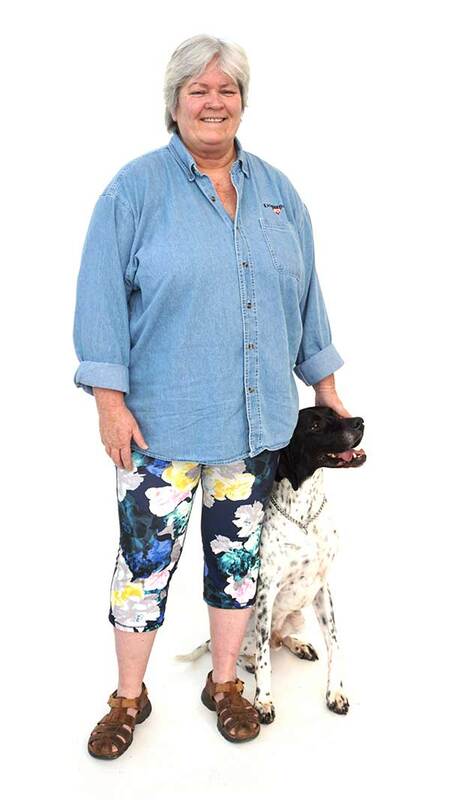 What makes Linda Kaim and Lionheart K9 the best choice for dog training in Maryland? Lionheart K9 was founded on the belief that a well trained dog is not only a testament to his owner’s regard for him, but their regard for the community in which they live. By building each relationship through cooperation and respect, we are able to reach dogs of any age, breed or behavior type successfully. Our training programs can be customized around any dog’s behavioral issues and as a result, we are sought for our understanding and success with a variety of behavior issues, including dog and human aggression. We are often the ‘last resort’ for many dogs that have been failed by other training, or whose issues are beyond the scope of other trainers. Our success isn’t just *us*. Over the years, our most successful owners have all possessed the singular most important attribute for achieving their goals, and that is their dedication to their dogs, and the desire for a positive outcome. They understand their success is contingent upon their effort, and are willing to do the work and make the sacrifices necessary to achieve their goals, and we are committed to their progress, every step of the way. We have been in business since 1979 contiguously, and have handled thousands of dogs in a variety of disciplines, including upland bird dogs, field retrievers, IPO (formerly SchutzHund) AKC Obedience and Conformation handling. We have trained, competed and supervised the training of many dogs and handlers throughout the years. Our specialty is Owner Empowerment and our ability to help each owner truly understand their dogs’ behavior better. Using tried-and-true concepts to change their dogs’ behavior in positive ways, we enable owners to live peacefully with their dogs, enjoying an enriched, stress free life they want! Linda has achieved National recognition through her work with puppies and young dogs, and remains fascinated with puppies and how quickly they learn. The focus of her most recent work over the last decade has been with behavior development and early learning in puppies. We believe an ounce of prevention is worth a pound of cure and we continue to create programs for new puppy owners that enable them to reduce the stress very young puppies can create. Using ideas from many of the working and performance dog cultures, Linda developed and streamlined a concise program exclusively for puppies that defies the current beliefs about puppy and young dog training, and truly prepares young pups for a lifetime of problem-free learning. This training developed exclusively by Linda Kaim, has been internationally acclaimed and has provided her with workshop and speaking engagements across the US, with invitations to speak in the UK, Australia, and Singapore. Linda has been featured in articles about dogs and training in Carroll Magazine twice, the Baltimore Sun, The York Daily Record and WITF’s Central Pennsylvania Magazine, as well as various trade magazines throughout the years.